At the Young Tailors Symposium in a couple of weeks, we will have one floor of the Stefano Bemer atelier dedicated to my favourite Holland & Sherry cloths. Holland & Sherry have generously supported the event, and I thought the best way to return the favour was to show off 10 lengths of cloth that I have had made into suits or jackets recently. That way, readers can see and feel the cloth first hand - not just on screen, and not just in a swatch book, but at a scale where you can appreciate the colour and texture, and even drape it about yourself to see if it would suit you too. Used for my suit from Sartoria Dalcuore, which was featured as a fitting earlier in the year, and I'm just putting the final post together on now. I'm increasingly using Crispaire instead of Fresco or any similar fabrics, because it has the breathability and ability to maintain its shape (in fact, is probably better at that) and is not scratchy. This was the suiting I made my Camps de Luca suit out of, a two-piece, two-button versatile business suit. Pick and pick is a nice weave as it gives a little more surface interest that a plain weave or twill - but less than a bird's eye, for instance. I had a pair of trousers made up in this green flannel by Elia Caliendo over the winter, and they featured in this post about my oatmeal jacket from him. 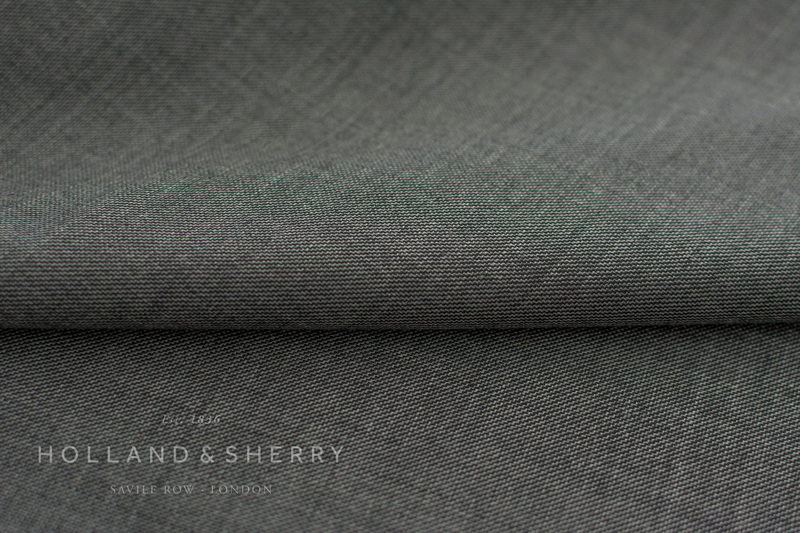 Green is not an easy colour to get right in flannel, but this is greyed and muted - not too strong and at first glance no difference to darkish grey. This was the other pair of trousers Elia made me over the winter - in Holland & Sherry's Pardessus bunch. It is super-heavy and usually used for overcoats (even for curtains) but I love it. It has a beautiful handle and I love the cream and olive colours. The trousers were featured in the piece on my Escorial jacket. The cloth I used for my recent suit with Manning & Manning. Lighter than Crispaire and with a particular resistance to creasing - though once it does crease you do have to press it out again. This shade is not quite colonial tan, but has a touch of olive to it, which is a bit more urban and modern. The more I have things made, the more I like subtle pattern and texture, rather than big checks or stripes. And so the more I like Harris tweed. Such fantastic colours. This is an update on the tweed I had made into a jacket a few years ago - and was much appreciated when photographed in Scotland. So useful. I liked the Dalcuore brown Crispaire so much that I'm having the grey version made into trousers by Solito. Very versatile in the summer. This is also carried in the Dakota bunch. 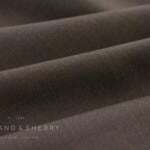 This was the navy worsted used in my Classic Bespoke suit from Whitcomb & Shaftesbury, and is a great starting point for a first suit. Eleven ounces, nice twill and great body. I'm having this made up into trousers at the moment. 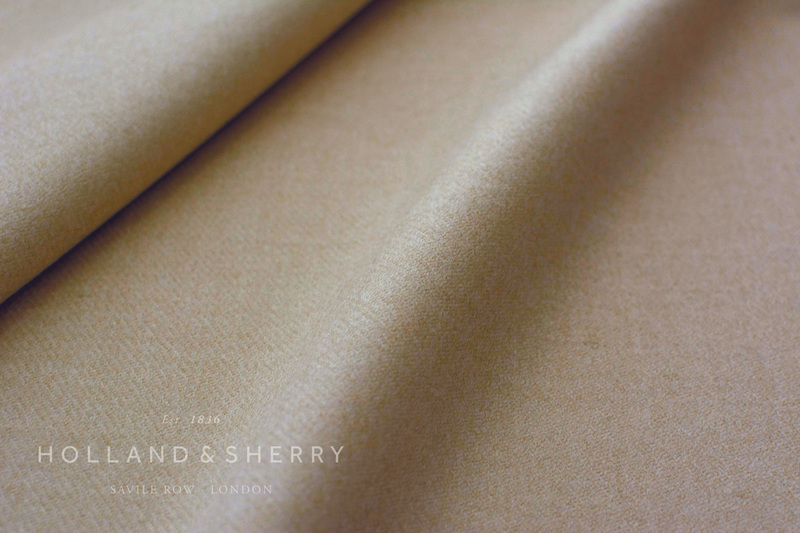 Cavalry twill is a great option for odd trousers - nice texture in the twill and without the sheen of the wool gabardine normally recommended. 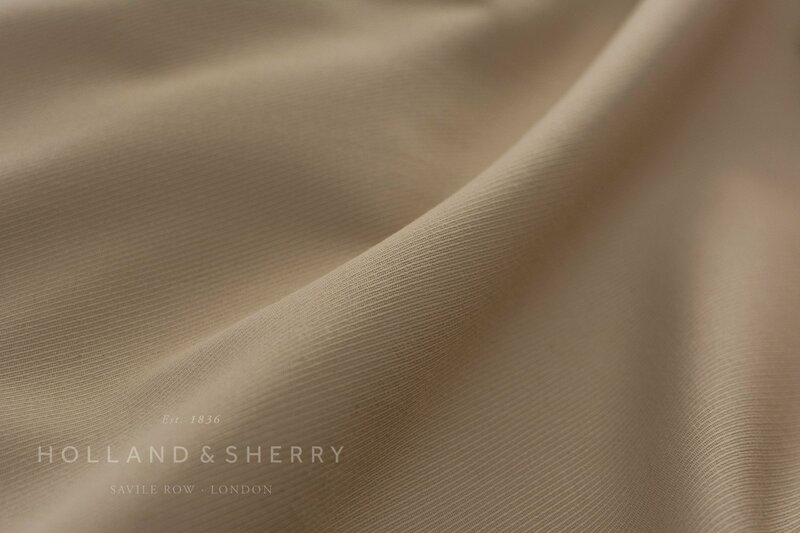 This is a pale beige colour that should be very versatile. 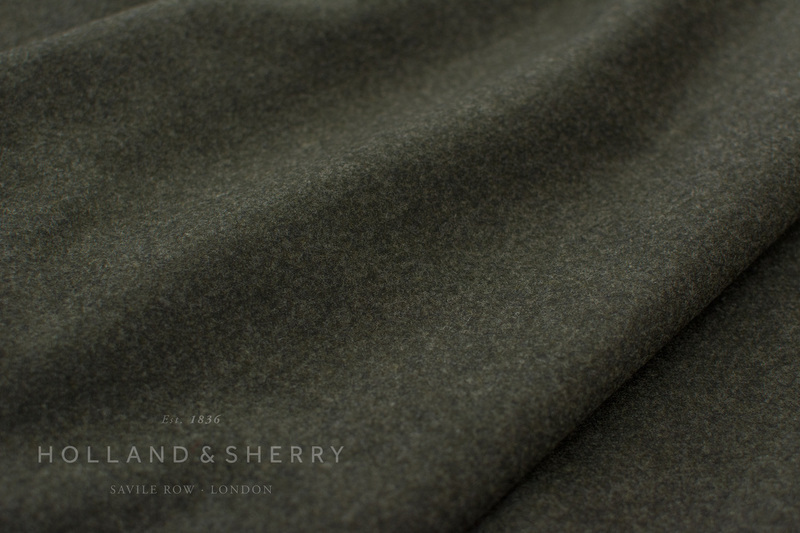 Last but not least, a lovely donegal in 100% cashmere, which I have earmarked but am yet to use. I've always liked donegal, for its haphazard texture, and in grey it makes a nice bridge between formal and casual jackets. You can follow the discussion on The Holland & Sherry cloths I have known by entering your email address in the box below. You will then receive an email every time a new comment is added. These will also contain a link to a page where you can stop the alerts, and remove all of your related data from the site. How many ounces are the super heavy cream trousers? Damn that’s heavy! How do they feel to wear? Would you please be so kind as to update them, so we can enjoy the grey Crispaire? Thank you very much for the time spend on this website, it is very much appreciated on my side of the Channel. Cloth is something that really should get more attention. I find it hard to tell how a swatch will look at suit size (which can lead to expensive mistakes although more often than not just the feeling I should have gone for a shade darker of lighter). Its nice to have some picked out to think about an compare with other options. I particularly like the tweed, Donegal and grey crispaire. I wonder if you could do some more articles on cloth? There’s actually a big project coming very soon Rob – good timing! Not at this stage I’m afraid. Try buying the fabric in advance. Order the lengths you need and have it about the house for a few months. I wish I’d done this previously – I’d have saved myself a coupe of near-unwearable commissions. Most tailors should quote CMT these days, if not ask them to order the cloth for you. Which brand with a German shop presence would you recommend to buy shirts from? I’m looking for classic dress shirts to wear in the office. I am very unimpressed with what I find in typical department stores (cut way too loose or ridiculously tight, cheapish facrics). Having shirts tailored is not an option (too expensive). Buying online is neither. I want to try them on. Can anybody recommend a good maker available in German retail? Try Van Lack, though I don’t have a personal experience with them. And depending on where you live in Germany, Hirmer (Munich) or Eckerle should carry good offerings. In every big city there’s always two or three … little shops, not more, generally behind or even away from the main Streets, where you can find lovely well made items. One is always stunned by the high quality of their offerings! Not sure about your cavalry twill as my experience with this material is one good and one bad. Good is a heavy weight gabardine type that i purchased from Cordings in the traditional style, colour and weight. They are simply stunning to wear. 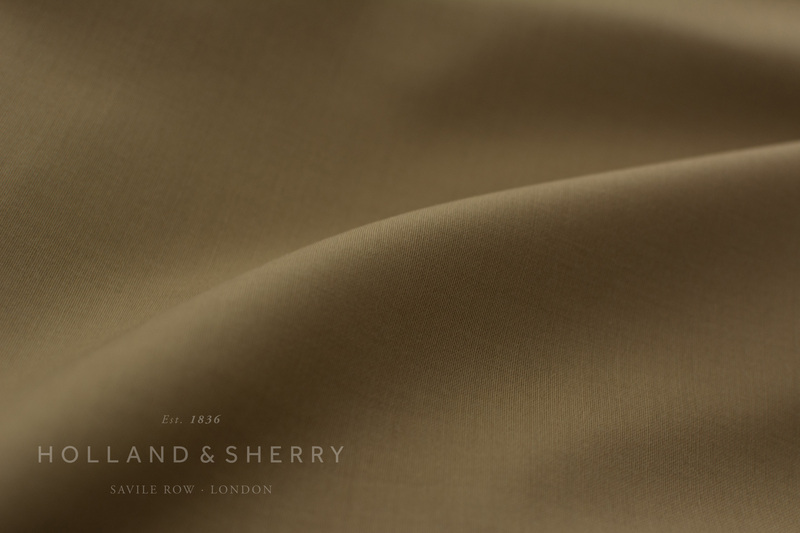 Crisp, formal, free from creasing, move beautifully when you walk, the drape is superb and are in my top two trousers. The bad one is a cavalry twill from W Bill WB14829 – 9/10oz which are pretty horrendous. You just look at them and they crease! Therefore i am not happy with them. I am also puzzled by your Crispaire comment. For example my second pair of favourite trousers are J and J Minnis Fresco. Light and non creasing (have yet to see the shape being lost) whereas on Wednesday i wore a brand new pair of Holland & Sherry Crispaire and i found them creasing on the crotch area and behind the knee in just that one wear! I have to agree about Crispaire; it does tend to wrinkle. Am also a big fan of Minnis Fresco (now called Hardy Minnis, having dropped the J and J for some reason), and have a suit in the works currently from the Fresco 2 book. Have you considered the London Lounge Brisa? In my experience it is far superior to both Fresco and Crispaire. It has the airiness of the Fresco, but is softer to the touch than Crispaire (because of the inclusion of lamb wool I think). 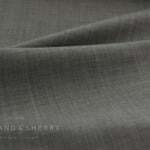 The decent weight of 13oz gives it good drape, and it is very crease resistant (much more than Crispaire). I would highly recommend that you give it a try Simon. 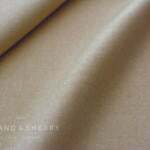 It would be of great interest to read to your thoughts on LL cloth. As to 13oz being too warm for summer, I can assure you that the Brisa wears quite cool (air goes straight through as it is very porous), especially with a half lined jacket. As long as you can wear any type of suit in the heat, the Brisa would do the job. Another voice of dissent about Crispaire but i see your point. Also, in the CdL post, you said it was a 13oz, now it stated it was the Crispaire 11 oz? Really enjoyed this post, Simon. As a pet owner – a cat who is shedding terribly as we head into the warmer season – I would be interested to hear your thoughts on cloth that is less prone to catching pet hair. On lighter coloured fabrics it will probably be less obvious but I tend to wear darker fabrics to work. I have a 16oz lesser navy hopsack which seems not only draw every hair in the immediate vicinity but is also resistant to brushing. 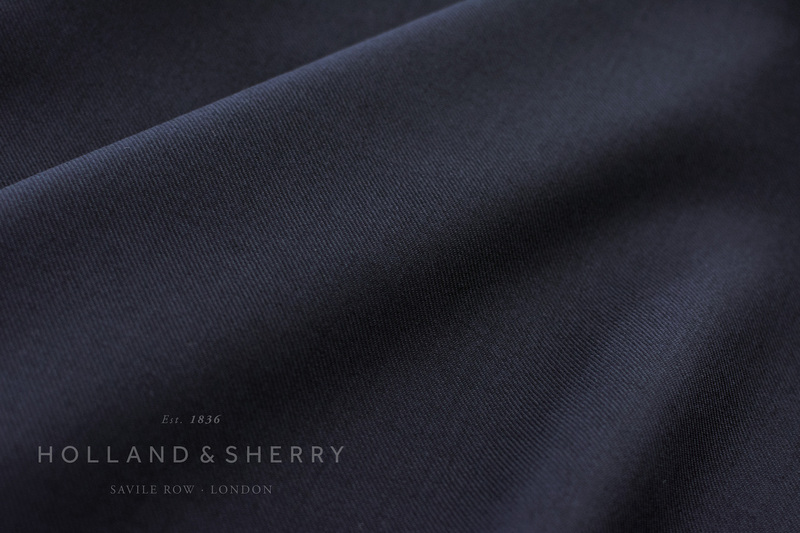 Totally agree on the classic navy worsted for a first suit. I picked the 13oz almost identical cloth (654035) for mine. On reflection it might end up being a little heavy but I thought it might need to be on the heavier side until I can add more bespoke to the wardrobe. Something like that pick and pick maybe. some great ideas for cloths to use in future simon. Ive always loved the look of harris tweed and wearing it as a school boy many years ago 🙂 ive never used it though as the view on some of the forums (yes I know they are full of cranks!) 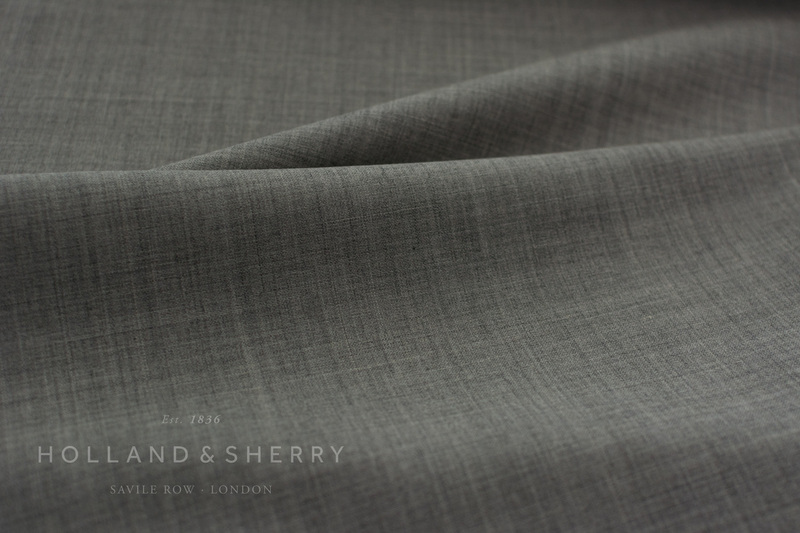 is that it isn’t a good cloth to use in bespoke as it stretches and pulls and wont take a good line. whats your view on this simon? Try Hardwicks fabrics in the east end opposite Upton Park Station. He has a treasure trove of cloths from various mills and merchants and tailors trimmings from 15pounds a meter, average price being 20pounds. Ive been going there for 15 years. He has alot of heavier weight cloth. 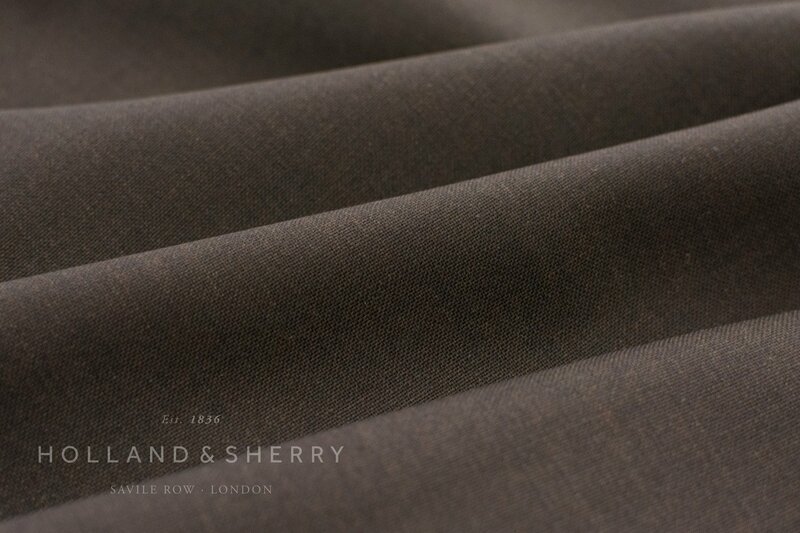 The showrooms of cloth merchants Holland & Sherry and Scabal are on Savile Row in central London whilst Dormieul is just around the corner on Sackvile Street. You will be able to view their collections but none of these companies carry stock in central London. Where were these images of H&S cloth taken from? Been looking to find some of the swatches I have. I assume you have taken them personally? I have a question that is somewhat related. Is there anything I can do to stop the crotches of my suit trousers wearing out so quickly? I have always bought two pairs of trousers with every suit as per your suggestion from articles gone by, and I thank you for this invaluable tip. However, this is still an issue and after a year or so some of my suit trousers (both pairs) are threadbare. Obviously, buying heavier and more tightly woven fabrics helps and I am doing my best to purchase accordingly, but is there anything else I can do? It’s frustrating as I wear a suit every day to work and the whole thing can get very expensive. Ps – redesign looks great. First and foremost, I want to both thank you for, and congratulate you on, Permanent Style. Since being introduced to it a little over a year ago by a Partner at my firm (I am a city lawyer), I have visited the site daily, and have subsequently purchased six Shetland sweaters from Anderson & Sheppard based on your 2013 post on their slim-fit knitwear! The reason I am writing your this email is that I plan to commission my first 2/3 bespoke suit(s) soon, and I wanted to seek your advice on which cloth(s) to choose. As stated above, I work in the city as a lawyer and will be wearing these suits regularly, so I require them to be “hard-wearing”. From my research, I understand that when looking at cloth ratings (Super 100’s, Super 150’s and higher), these numbers refer to the count, or fineness, of the yard used in the cloth. 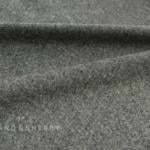 Hence, the finer the count, the more wool used per square inch, which results in a finer and softer cloth. What I am worried about is that, whilst the Super 120’s and higher cloths may look beautiful, they won’t wear very well, and won’t be as durable as a Super 100 cloth. Do you agree? At the moment, I am of the opinion that I should opt for either a Super 100 or Super 110 cloth, as they will last much longer. However, I welcome your opinion on the matter, and any other advice/wisdom you could kindly offer. Hi James, nice to hear you find the suit so useful. You’re right that while high Super numbers will feel silkier, they won’t wear as well. I would recommend you go for a 100s-120s, and get at least two pairs of trousers. Also aim for heavier cloths if you can – 11oz or up. P&H Glorious Twelfth have some fantastic patterns, all bulletproof and at a comfortable 11ozs. Simon, what do you mean by “real” tweed? 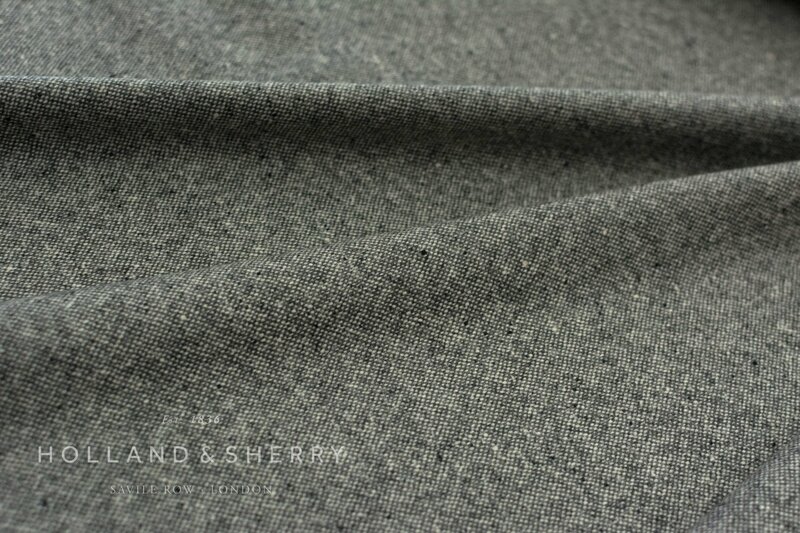 It’s not worth going into the technical details here, but I dislike tweeds that are made finer, lighter in weight and with a harder finish, to make them more like suitings. For me, it removes all of the things I like in tweed. In the same way as worsted flannel does to flannel. From an entirely subjective, aesthetic viewpoint, I don’t like most tweeds with big checks. Often windowpane, often too bright. Interesting. 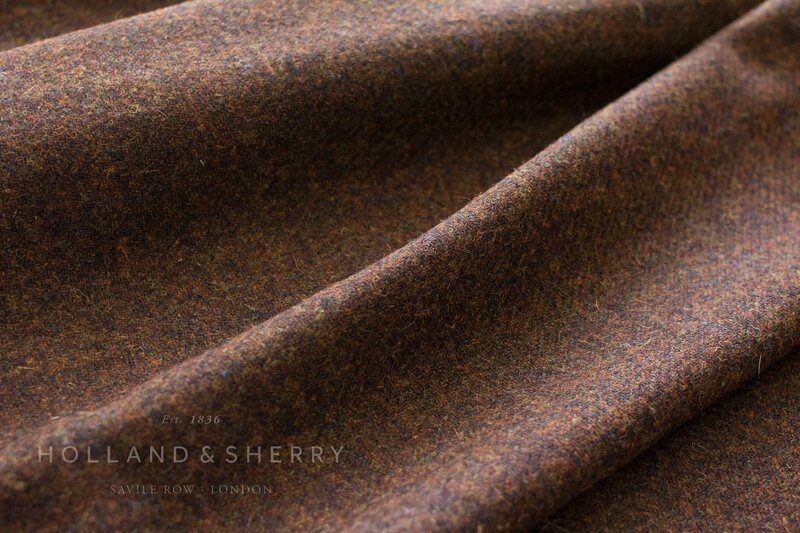 The big names in the LBD stable are the highest quality tweed producers in the land. What’s not to like? On these cloths, how hard wearing is flannel? I am wondering how it wears comparatively to its worsted counterpart, can it do 150-200 wears as a suit with two trousers? Hi Simon does the Pardessus cloth wear well in the rain as denim does? Also, is fabric that is worsted not suitable for a pair of odd trousers (risk appearing as suit trousers)? Thanks. Not particularly no, it is wool after all. Just heavy wool. Not having worsted for a pair of trousers is a good start, but unfortunately it’s not quite that straightforward. Many other things like weave and finish contribute to the look too. Choosing fabric is the one thing I HATE about bespoke. Probably 50% of the items I’ve commissioned havent turned out how I’ve hoped despite the help of the tailor… a light grey suit had a brown colour caste I didnt see in the shop, a hopsack fabric was far too formal etc. 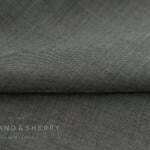 So that in mind, I am looking for a grey fabric, a bit darker than your typical “mid grey” but certainly not charcoal for a casual unstructured sports jacket that can be worn (possibly at a slight stretch) with jeans down the pub/for casual friday or can be dressed up a little for a meal in a restaurant and want to avoid it being “country”. Would the Donegal above hit the mark or is there something else you could recommend? Hi Simon. Would Crispaire work as an odd double breasted jacket? Also, if not navy, would another color be able to perform double duty both for day and night events? Thanks. You mentioned your fondness of Crispaire, particularly in the grey standalone trousers (Dakota). I’m looking for a versatile standalone trousers, and like you what draws me to Crispaire is the plainish weave/depth but also breathability. However from your experience would the trousers not be able to be worn throughout the other seasons in London? Personally I prefer lighter cloths but I am not sure of how ‘airy’ this cloth actually is. I’m commissioning a suit in the Crispaire fabric, for casual work/travel and am strongly considering having it unstructured (no canvas). Any downside to doing so in this particular fabric? Only that it is really a suiting, and would arguably look best with structure for that reason. But then again, it will hold its shape better than something soft (eg cashmere or flannel) would without structure. Makes sense. Are there specific fabrics you would suggest for an unstructured (travel-friendly) suit? Weight is obviously the biggest thing that helps with durability – but that heavier things are always better, but that you start to have more options in terms of yarns and weaves. At anything light than Crispaire, I’m not sure what would make that much difference to durability. But I’ll look into it. 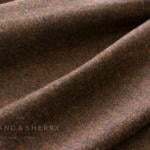 I was wondering if you know how close the shade of brown in the Harris Tweed above is to your jacket? I’ve been mulling between this one (892020) and the darker brown in the same book (892018). I’m a little worried the lighter won’t go with raw denim but yours definitely works. You may never have compared but worth checking! I quite often seem to go too light when choosing brown jackets. Hi Gents, Maybe I am looking in all the wrong places, but what is the weight of the 892020? Does your view on texture/fabric still hold over say stripes. I very much prefer solids but in looking for a fabric for Ettore’s ‘safari’ jacket (Also seen from your writing) I was inspired by the stripes although wanted something less bold/subtle tonal striping which gives the tailored/sporty look to the jacket. 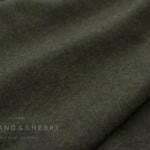 Having visited H&S have located a subtle mid-dark grey fabric. I had looked through the usual flannel, sherry kash. tweed H&S books but nothing particular caught my eye. Any particular bunches to try seeing as you have seen the jacket model in person? Thanks! I’m a first time commentator but regular reader. I appreciate your blog and draw a lot of knowledge as well as inspiration from it. May I ask if you know what happened to Sherry Tweed book? I’ve been looking around and it’s not listed on the Holland and Sherry website for quite a while already. I’m planning commissioning a tweed jacket for next autumn and thought this book is worth consideration. Thank you! I’m particularly taken with the green flannel and the fantastic brown tweed. Considering having something made out of both. Do you think the flannel would be too light (not hardwearing enough, not holding a crease) for a full suit at 340g/m and the tweed too monstrously heavy at 470-500g/m? Hello again! My language skills are challenged by the adjective spongey. Am I right in assuming you feel the tweed would be to warm (spongey?) for a suit, but the flanell sufficiently sturdy? Also, thanks for your kind response! All right, green flanell suit is next in line. Thank you! Any experience with the City of London (HS1862) bunch? I have seen a beautiful dark grey (6218046) and appears to be a decent weight as well. Hi Simon, thanks for the post. Considering the 9/10oz Crispaire for a travel suit and like that it will hold a crease. Would you suggest this could be a year round option or would the more open weave make it impractical for the cooler months in New York/Toronto? If wouldn’t really be a suit intended for that kind of weather, but then nothing really is year-round, particularly in New York. Have you ever tried fabrics from Harrison’s P & B universal bunch? 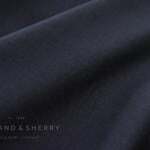 I am asking this because I am very interested in heavier cloth and I was wondering regarding quality how do they compare to other English fabrics.